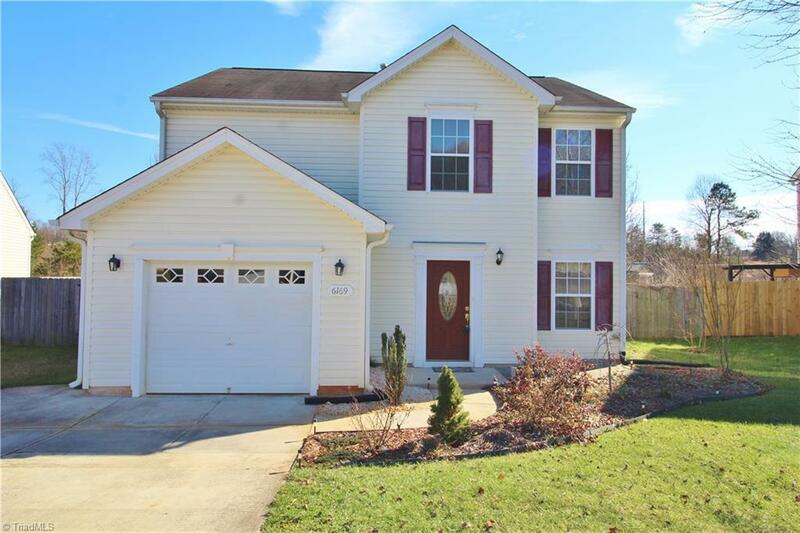 6169 Glen Way Drive, Winston Salem, NC.| MLS# 914028 | North Carolina Farm and Vineyard Specialist Patria Properties Inc.
Kernersville - Winston Salem area 4Br 2.5Ba in Glenn Meadows community. Large bedrooms! Large eat-in country kitchen with walk-in pantry. New microwave & range. Single car attached garage. Deep fenced backyard with rear deck & pergola great for outdoor entertaining and play! Vinyl siding exterior. Fridge can stay! Convenient access to I40. MOVE IN READY!